It’s the 5th of July, that means you are probably either hung over or recovering from your firework related injuries. Maybe both. This week on Staple Remover I’m going to have some light reading for you while you chug Gatorade / apply Aloe to your bottle rocket palms. 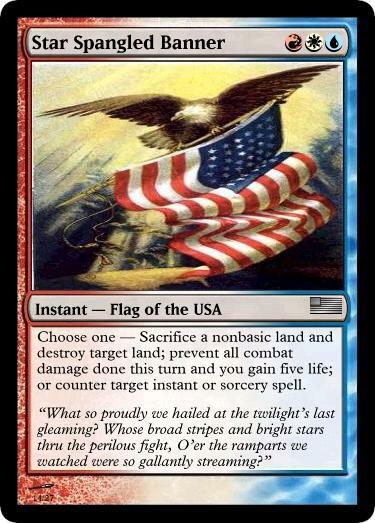 I’m going to keep things in flavor and throw out some odd ball combos that exist in Red, White, and/or Blue. 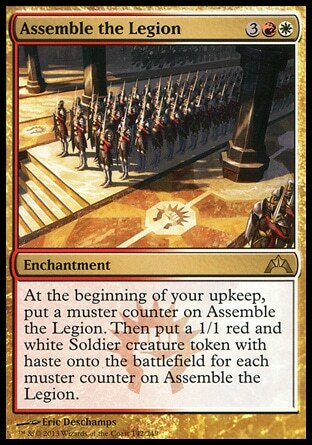 If you are reading this article in another country other than the US and you have no interest in the 4th of July and the Red White and Blue, well, your flag most likely has Red, White or Blue in it, or most importantly one of your commander decks surely does. 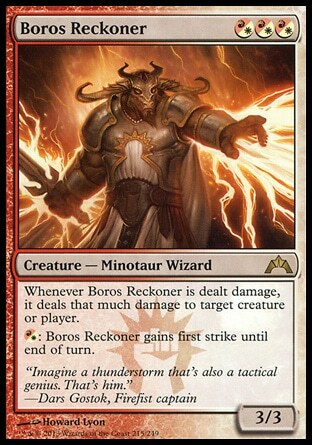 Read on for some combos that just may find their way into your deck over that Mind Over Matter Temple Bell combo. So you are playing Red, White and Blue or some combination there of. 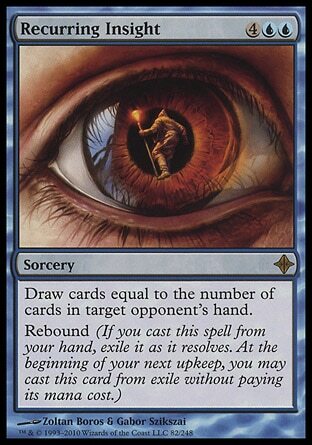 What are some combos you can throw out there to make your opponents brain explode like a Roman Candle? Cut that Kiki-Jiki, Mirror Breaker Pestermite combo everyone is bored of and go for broke. Try to win with some real gutter tech. Hey, that’s what I’m here for. 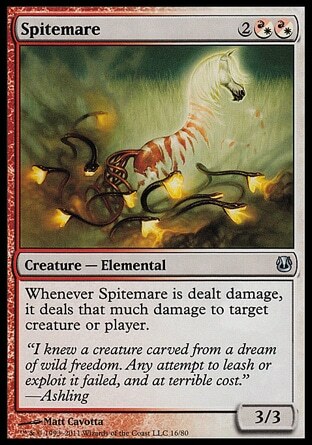 This combo works with just Spirit Mirror and Unnatural Selection or Spirit Mirror and Proteus Staff. 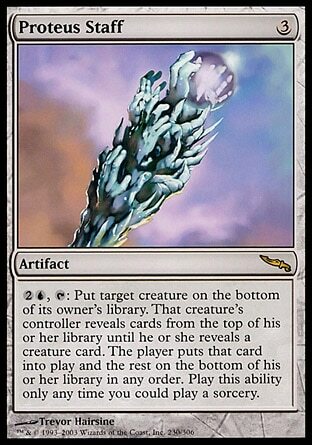 If you get all three out you win the 2013 Value Awards (Award is a golden Consecrated Spinx statuette doing a line of coke off a Cabal Coffers) With the mirror and selection in play you can essentially pick off just about any creature you want for a measly 1 colorless mana. 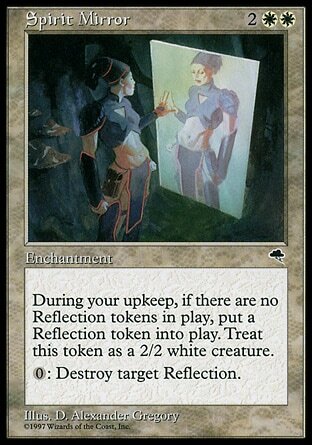 Also, the mirror can give you fodder to activate Proteus Staff to fetch a random creature out of your deck. Now that we are blowing up creatures on the cheap and playing the creature slot machine that is Proteus Staff, “what can we do to get a wonky soft lock on the game” I’m sure you are asking. 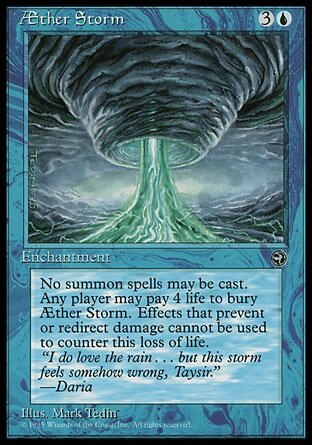 Sure your opponent might be able to bust out of it like a wet paper bag, but they might not! And that would be hilarious. 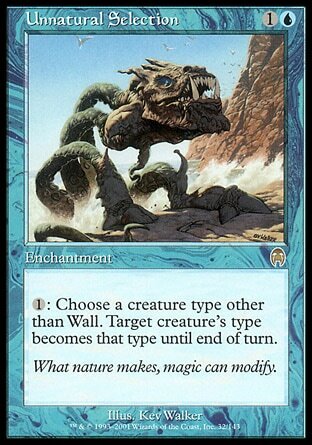 When the Homelands cards start hitting the battlefield people might look at you funny, but at least they won’t be able to cast creatures. 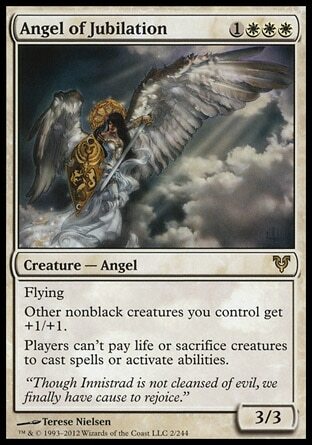 At least they won’t be able to unless they burn a removal spell on your Angel of Jubilation or Aether Storm. This next combo might be a little obvious, but the math can get fun. This is for you calculator lovers out there. First of all, Wild Research isn’t essential, but it will help you piece this monstrosity together. 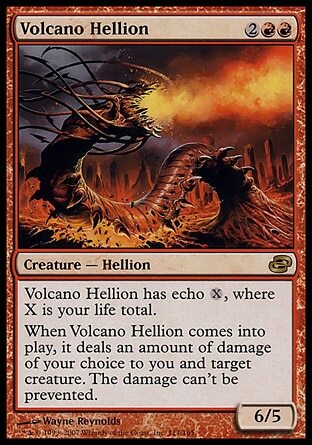 Sure, working to get three specific cards into play should probably win you the game outright if you pull it off, but who wants to win the game when you can do math! 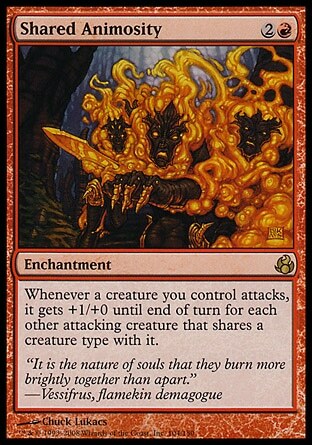 The first turn you attack for 2, then an opponent blows it all up and laughs. 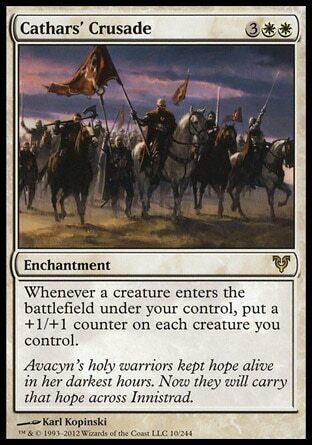 But if that doesn’t happen, the second turn you attack for 16, and the third turn you swing in for 52, turn 4 is 151. I may have made an error in there somewhere, but I think that is correct. Live the dream! 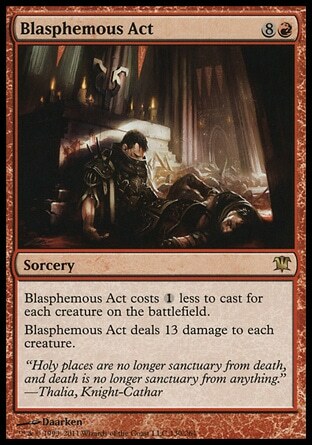 Just because a couple of these cards are in standard now, doesn’t mean they can’t cut it in commander. 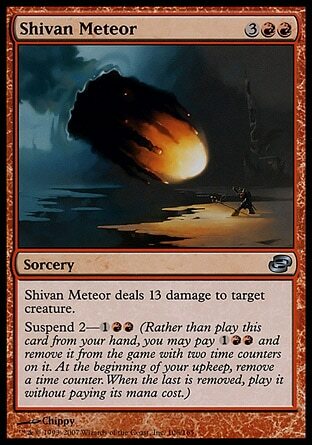 I had played Spitemare + Shivan Meteor before, but now we have more trinkets we can throw into the mix. 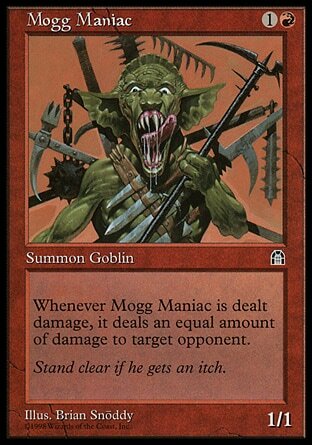 If you are playing red, you are probably playing some sort of damage doubling effect, so a meteor would deal 26 damage to Mogg Maniac, and Mogg Maniac would deal 52 damage to some unfortunate opponent. 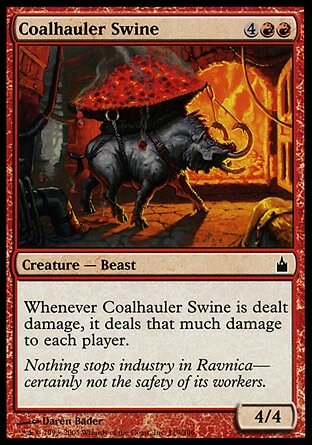 The final combo I’m sure will make all the Nin players out there want to rally to change the hybrid color rule in commander. Draw cards, lots of them. 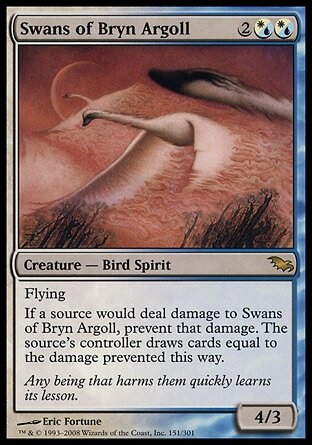 It seems like Swans is one of those cards that is just never up to any good. 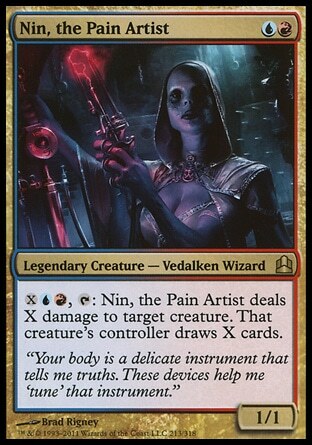 They get tortured by the pain artist, and they love it. 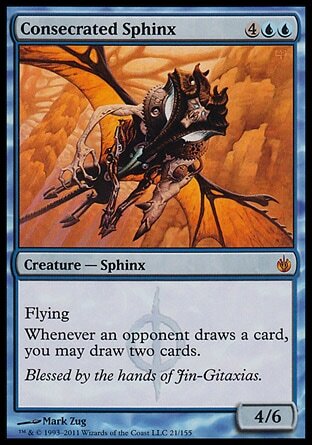 Before Consecrated Sphinx made a name for itself by being the go to card to mention when talking about cards that should probably be banned, there was Recurring Insight. Well if you are sick of the big orange guy, why not switch back? 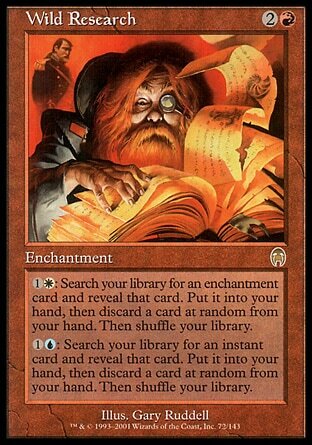 Insight can still draw you a heap of cards and it kind of punishes other players for crafting mega huge hands. In this day and age its not going to draw as much hate either. Also people won’t be able to clone/steal/reanimate it, so its harder for people to use your weapons against you.